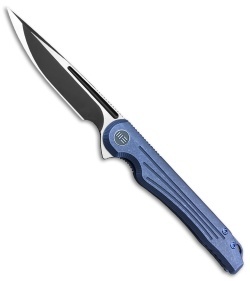 This version of the Array comes with a blue titanium handle and a black finished blade with satin accents. 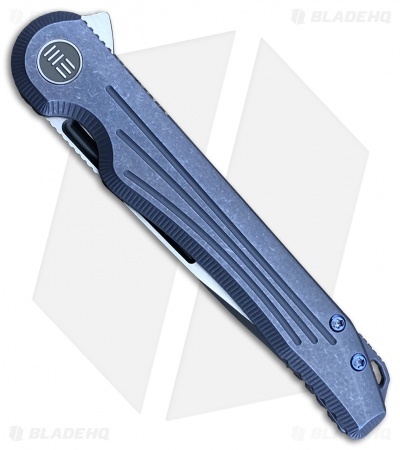 The Array from WE Knife Co. offers streamlined style and functionality, with a large blade that can tackle any big cutting task. A slim and narrow handle allows for a large profile that remains comfortable and practical for EDC pocket carry. WE joined forces with designer Simon Crafts to bring you this impressive flipper that is destined to dominate your EDC line-up. A sleek titanium handle offers strength and stability with none of the pocket bulk. 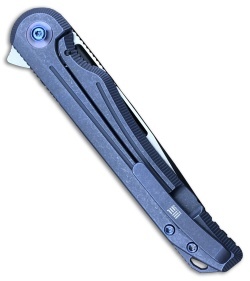 Ceramic bearings and a flipper opener provide silky smooth one-hand deployment. 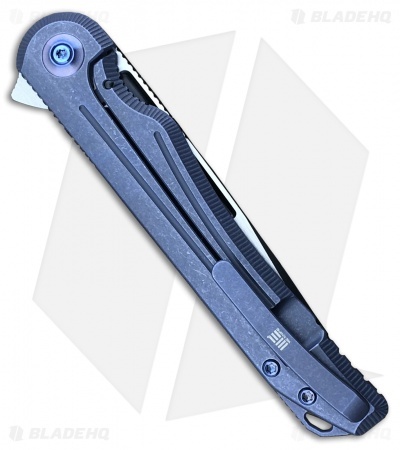 Handle is outfitted with titanium hardware and a tip-up titanium clip for secure pocket carry.